Investigative Journalists Take Note-A Spotlight Opportunity to Expose Corruption! The attached article was published in the June 30, 2016 edition of the British Medical Journal. The BMJ is one of the oldest and most respected medical publications in the wold and the Associate Editor of the BMJ Jeanne Lenzer wrote it. The article speaks for itself and it should be noted that former FSPHP president Warren Pendergast “retired”on the same day this article was published. 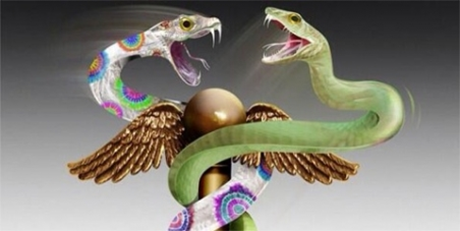 Although the monopolistic abuses and horror stories of doctors have been percolating around medical circles they have not yet reached the mainstream media and they need to. Physician Health Programs (PHPs) were designed to provide timely professional help to doctors who developed problems that might otherwise lead to work impairment that could cause patient harm. They are similar to employee assistance programs (EAPs) and the central purpose of an EAP is to provide timely professional aid for employees who have problems that might otherwise lead to work impairment, absenteeism or job loss. What they have become is a multi-state criminal operation involving state PHPs, several drug testing labs and close to two dozen “PHP-approved” drug and alcohol treatment centers across the US. Although the mechanics of EAPs and PHPs are the same the mentality is quite different. Any system can be subverted, but as cleanly-coined self-governing organizations with no oversight or regulation and started by volunteers with benevolent intentions PHPs were particularly vulnerable to exploitation. This was accomplished when some unscrupulous individuals from the “impaired physicians movement” started creeping into state PHPs. Many of the doctors who who orchestrated this system were former alcoholics or drug addicts who regained their licenses after completing treatment and were now in “recovery.” Normally that would be a good thing but many of the doctors who erected the FSPHP scaffold had long histories of manipulating the system and claiming “recovery” was their get out of jail free card. Some very bad people were able to slip through the cracks and joined their state PHPs and eventually took them over while at the same time bamboozling others into the belief they were just altruistic do-gooders who actually knew what they were talking about. The Federation of State Physician Health Programs (FSPHP) is a monopoly power of abuse It is both an illegitimate and irrational authority that neither represents the interests of doctors nor the public. It is a false construct designed to advance the interests of the drug and alcohol testing, assessment and treatment industry. By selling the “PHP-blueprint” to other EAPs as the “New Paradigm” they are able to sell with it the dozens of junk-science non-FDA approved drug tests that go along with it. It can be compared to the razor model — sell a razor cheaply and mark up the razor blades. Rather than making a one-time profit on the razor, you’ll make continuing profit as the customer keeps buying razor blade replacements—or the rotating panel of urine, hair, blood, and saliva testing described in the ASAM White Paper in this case. In reality the FSPHP is a façade; a Potemkin village with a foundation of sand that brandishes “research” of little probative value and relies on unquestioned authoritative opinion and the blind faith of others. This is underscored by the comments of current FSPHP President Doris C Gunderson who told The BMJ that the federation is concerned that publicity about “a small, dissatisfied minority of physicians who were not able to achieve a successful return to their profession,” could drive doctors away from programs that are helping them. As a false authority in power the FSPHP primarily depends on silence, secrecy and avoiding facts and critical reasoning. They do not operate visibly, predictably or understandably and refuse to provide direct simple answers to direct simple questions. The chink in their armor is confrontation with direct facts and this was seen with state Auditor Beth Wood’s Audit of the North Carolina PHP that is mentioned in the BMJ article and found to have holes “big enough to drive a truck through”. A 2011 American Society of Addiction Medicine (ASAM) public policy statement specifically states that doctors should only be referred and assessed at “PHP-approved” centers and also excludes non “PHP-approved assessment and treatment centers. State medical boards mandate that doctors be assessed at “PHP-approved” assessment and treatment centers under threat of loss of licensure. This is under the ruse that these facilities have “special knowledge” and that doctors are unique but when Auditor Wood’s asked Warren Pendergast what criteria went into PHP approval of “PHP-approved” facilities the then President of the FSPHP could not give an answer. The best he could come up with is “word of mouth” and “reputation.” This emperor has no clothes. It is all artificiality and farce; spider thread spun out of the minds of profiteers to make the data fit the hypothesis and sell the “PHP-blueprint” and the multiple non-FDA approved drug and alcohol testing that goes along with it. Gunderson’s “mere fools” logical fallacy is alarming considering the complaints involve false diagnoses, overdiagnoses, diagnosis rigging, forensic fraud, coercion, control and other abuses of power. Human rights violations involving the political abuse of psychiatry need to be addressed directly. Delegitimizing one’s opponent to avoid addressing the substance of the argument is an unacceptable response considering the gravity of the issues presented. Faith in institutions demands mass adherence to faith in that authority and the FSPHP has bamboozled their key stakeholders into blinkered head-in–the sand complacency. It is important to recognize that the unique role of discrediting opinion and dehumanizing those with one whom disagrees is not limited to totalitarian regimes and the coercive use of psychiatry represents a violation of basic human rights in all cultures. Corruption breeds in opacity: in a crystal clear world of full information there would be no possibilities to circumvent existing rules in order to derive benefits for own pockets. Direct challenges to the status quo are necessary. We need to critically question the validity of their research involving PHPs and the toxicology testing. A public-policy and conflict of interest analysis need to be done. The profession needs to be informed, concerned and engaged. We need to question this authority and demand direct answers. Dissenting voices that are all too frequently met with a wall of blinkered apathy or openly dismissed or opposed by those who are unable or unwilling to look any deeper. As with the trees impeding to see the forest the FSPHP has successfully hidden themselves under authoritative pronouncements and a veneer of superficialities. So investigative journalists there is a treasure trove beneath this rock waiting to be discovered and we need to shine more light in an a dark dank area that is seldom seen.